Holographic vinyl and holographic heat transfer vinyl have become super popular with crafters. But they are also among the most difficult materials to cut and weed....IF you don't have the correct cut settings. 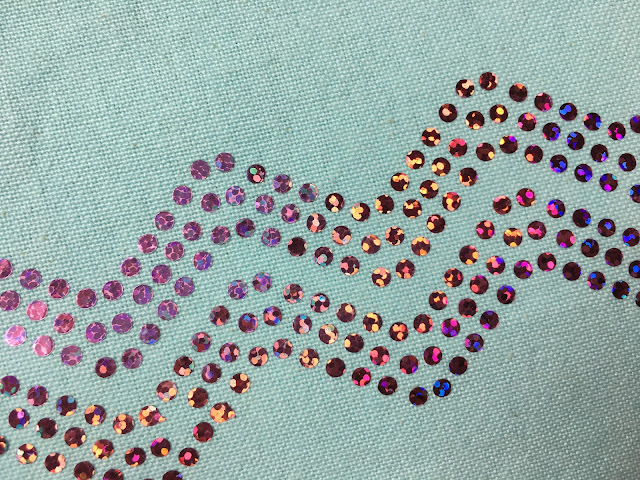 I love using holographic HTV as a replacement for rhinestones because it's a lot fewer steps and still gives you the same look as rhinestones. Because of the holographic finish, holographic HTV and vinyl are often thicker and more brittle than other vinyls. That's not the case though with the Siser holographic HTV or the Precise holographic permanent vinyl from Swing Design. Neither is overly brittle, but instead they both feel more like traditional HTV or vinyl. That's super helpful when weeding because it means the vinyl doesn't crack or break while you're weeding. However, the key to easily weeding holographic vinyl is to make sure you have a perfect cut. The Silhouette blade needs to cleanly cut through the top layers, but not the carrier sheet or backing. If you don't cut through, the top layers of the vinyl will peel away from the adhesive while you try to weed. After the vinyl and htv is weeded it's time to apply. The holographic adhesive vinyl can be applied with Oracal transfer tape or another higher tack transfer tape. Use a scraper to burnish and then peel up the tape taking the vinyl decal with it. If you have trouble picking up the vinyl decal, flip it over and peel away the backing leaving the vinyl decal on the transfer tape. Siser Holographic HTV comes on a carrier sheet and should be applied at 320 degrees for 15-20 seconds with a cold peel. 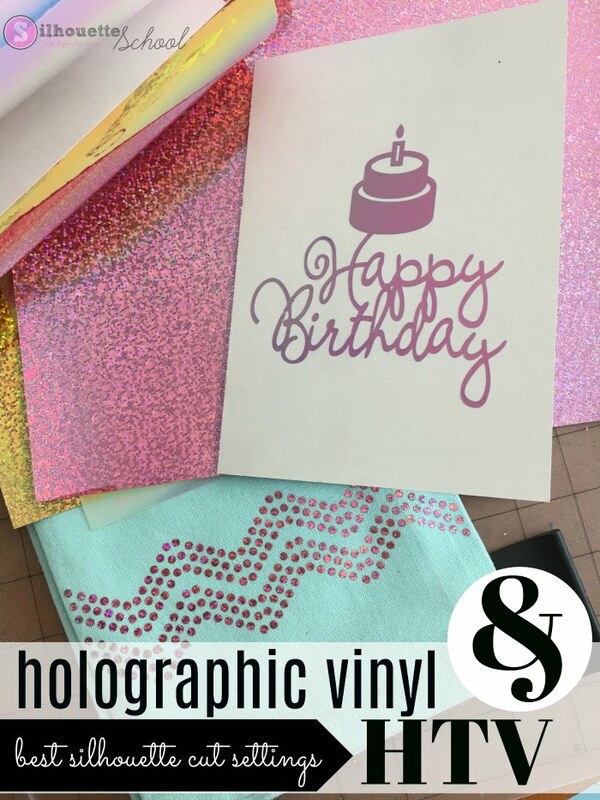 Check out this video for more on how to work with holographic htv and holographic adhesive vinyl.